The 2011 J.D. 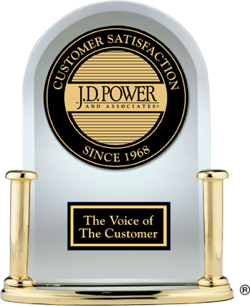 Power Quality ratings and awards are based on feedback of verified car owners who have owned or leased their new car for 90 days. This rating focuses on problems experienced by verified owners and has been shown over the years to be an excellent predictor of long-term durability. Simply put, the fewer the problems, the higher the score. Among all brands in 2011, Lexus ranked highest for initial quality. Lexus ranks higher than Porsche in terms of overall initial quality in 2011. Generally efficient and affordable, a small car or SUV can be a smart choice in a vehicle. In 2011, these were the top-ranked models in initial quality. In terms of initial quality, these compact cars and SUVs were the highest-ranked in 2011, according to their original owners. The utilitarian 2011 Honda Element was the top-ranked model in the Compact Crossover/SUV segment in initial quality. Ranked highest among Compact Cars (in a tie), the fuel-efficient 2011 Honda Insight earned an award in initial quality. The following midsize cars and SUVs ranked highest for initial quality in their respective segments in 2011. Ranked highest among Midsize Crossover/SUVs, the practical 2011 Honda Accord Crosstour earned an award in initial quality. In terms of quality when they were new, the 2011 large cars and SUVs listed below ranked highest in their respective segments. In initial quality, the popular 2011 Cadillac Escalade ranked highest in the Large Premium Crossover/SUV segment. The talented 2011 Chevrolet Tahoe was the top-ranked model in the Large Crossover/SUV segment in initial quality. As the level of technology in today's new cars and trucks increases, so too does the challenge for automakers to design and build vehicles with the high levels of initial quality that consumers have come to expect.